Over the last several decades, police have developed aggressive new tactics and began using advanced technological tools to combat drunk driving. At the same time, legislators have passed strict new laws which are designed to do the same thing. Florida’s controversial refusal-to-submit law is one of the more recent examples. Yet despite all these efforts, alcohol still causes about a third of the fatal car crashes in Florida, and in addition to the serious injuries these wrecks often cause, they also create complicated liability issues. Recently, Utah became the first state in the Union to lower its BAC maximum under .08. 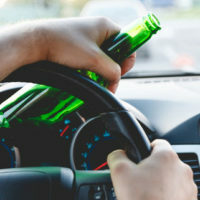 But especially since Mothers Against Drunk Drivers and other major advocacy groups are either lukewarm over this change or even downright hostile to it, it appears as though Florida and other states will not follow suit, at least anytime soon. In criminal court, this evidence means almost nothing. For example, smoking, fatigue, and a host of other things can cause bloodshot eyes, and simply being lost might explain erratic driving. But in civil court, the standard of proof is much lower (a preponderance of the evidence, or “more likely than not”). And, in each of these cases, it is more likely than not that alcohol caused the odor, unsteady balance, or whatever. In addition, again due to the low standard of proof, a jury could conclude that if the tortfeasor (negligent driver) had just come from a place that served alcohol, it is more likely than not that the tortfeasor had at least one drink and was therefore impaired. Said violation substantially caused the victim/plaintiff’s damages. Even if the tortfeasor is not cited for DUI, negligence per se may still apply, because the jury decides all the facts in the case, including the extent of the tortfeasor’s impairment. Under 21: Providers are usually strictly liable for damages if the impaired tortfeasor was a minor, because it is usually not a defense to claim that the tortfeasor “looked older” or presented a false ID. “Habitually Addicted”: If credit card receipts, discussions with a bartender, or any other evidence indicates that someone at the bar or restaurant knew the tortfeasor had a problem with alcohol, the establishment may be liable for damages. Liability may also attach in certain social host situations, such as a New Year’s Eve party. Alcohol crash victims may be entitled to significant compensation. For a free consultation with an experienced personal injury lawyer in Brandon, contact Reed & Reed. We have four area offices (St. Petersburg, Lakeland, Tampa, and Clearwater).